My first impression of Israel was of the heat, humidity and the chaos of the immigration hall at Ben Gurion Airport. My flight, which was scheduled to arrive just before midnight, was delayed by more than an hour due to mourning for the Greek President. In typical fashion Greece shut down everything in the country including air traffic control, leading to interesting routing problems for my flight. 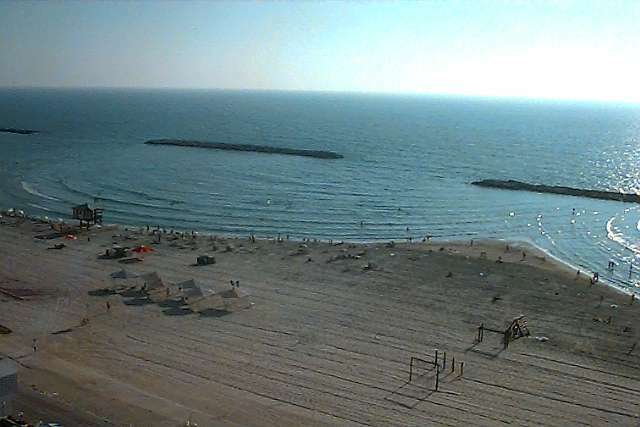 I got my second impression when I woke the following morning and looked out my hotel window at the Mediterranean. Having spent most of my life near one ocean or another, a mere sea didn't seem such a significant body of water. I was forced to revise that opinion pretty quickly. The scene reminded me of my first visit to my grandmother in Miami Beach in '69: highrise hotels along the beachfront and tacky lowrise apartment buildings everywhere else. Things start to look a little more interesting once you get a couple of blocks from the seashore. The architecture starts to look a lot more Mediterranean or Middle Eastern or at least less like transplanted Florida condo. It also shows signs of its battle with the elements. A lot of the buildings have experienced far more wear than I would have expected. 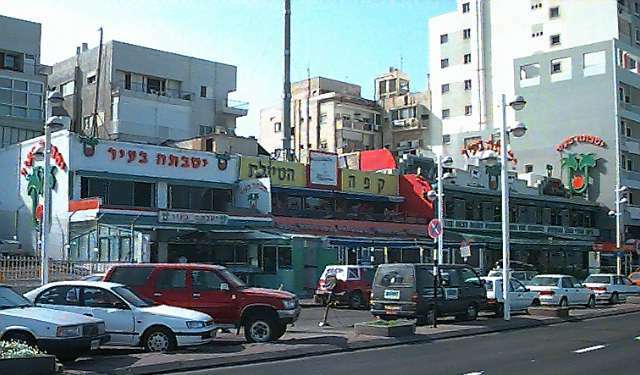 After all, Tel Aviv is a contemporary of Los Angeles, not Jerusalem. 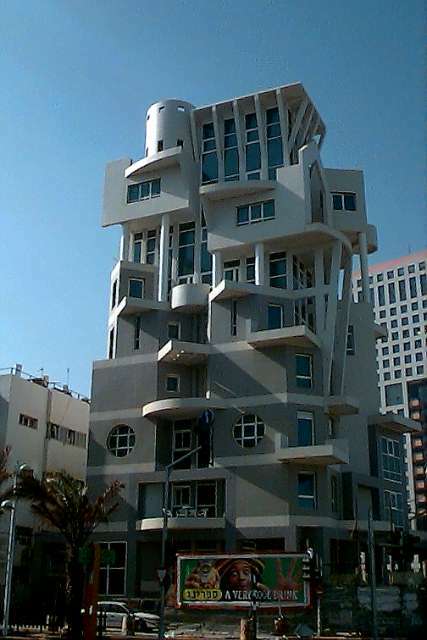 The architecture I encountered in Tel Aviv runs a range from the practical and boring through the ethnically quaint to the downright peculiar. The tower on the right is an example of what I mean: it looks like a modern version of the Tower of Babel. I'm guessing that the designer was having either a very good or a very bad day. 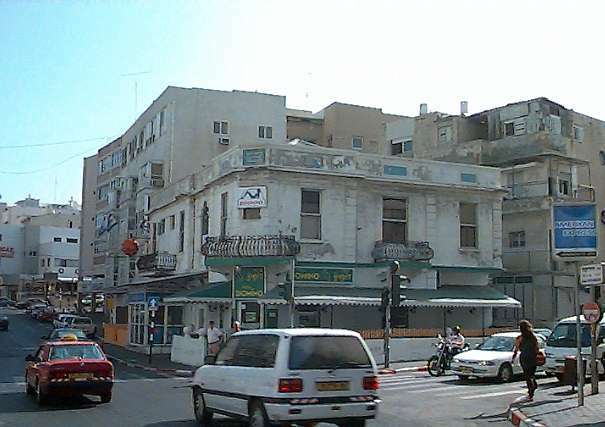 Jaffa is just down the road from Tel Aviv, a hot and sweaty walk on a late June afternoon. Although the two cities have been growing together for years, historically they couldn't be more different. 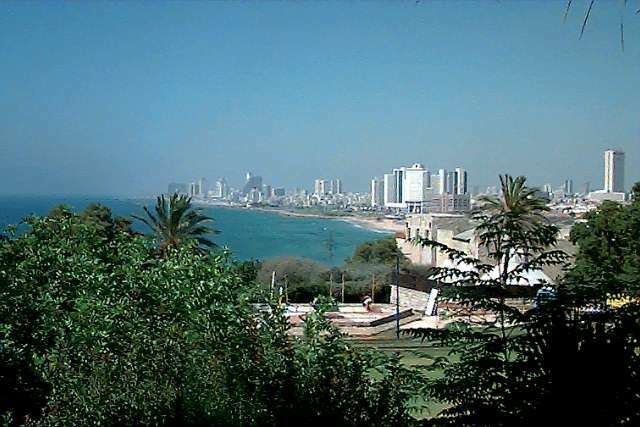 Tel Aviv is a product of the twentieth century; Jaffa has that beat by a few thousand years. (Jaffa/Jappa is credited as Jonah's departure point for his legendary encounter with the whale.) A portion of the old city was renovated during the sixties and turned into a rather pleasant tourist area. 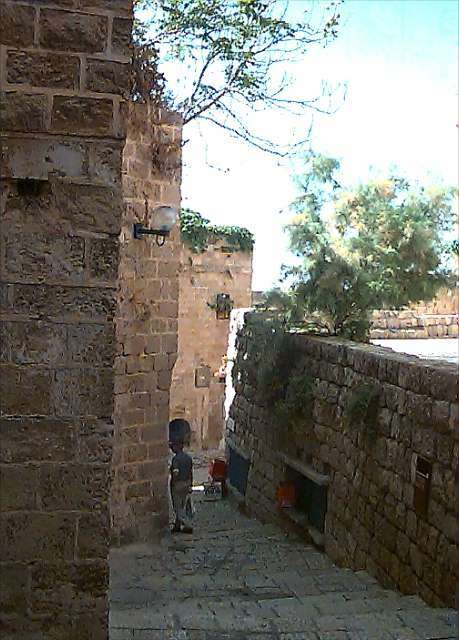 This Old Jaffa area dates back only seven or eight hundred years; far newer than the bits of first century structures in the visitor's center. With its history as the target of one conqueror after another, it's surprising that there's anything from that earlier time. 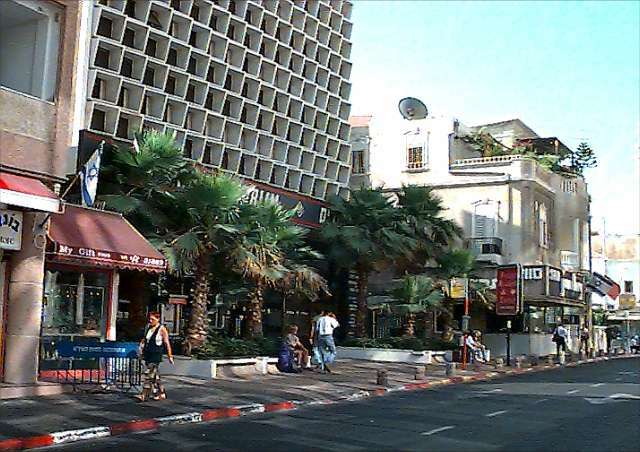 Thanks to a strange set of coincidences and a small but very determined Israeli subsidiary, I found myself back in Israel for my second visit just five months after my first. 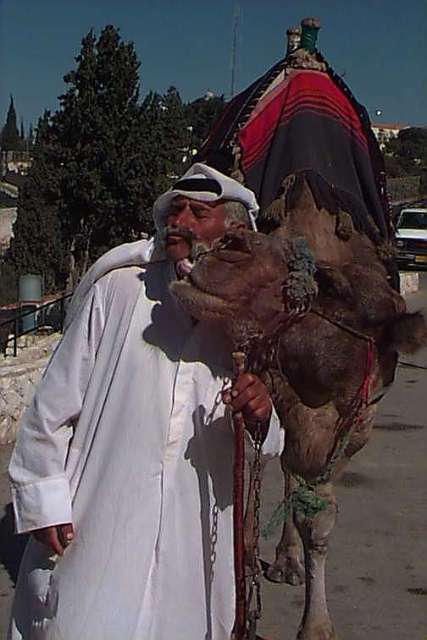 This time I made it from Tel Aviv to Jerusalem, a distance of a few dozen miles and a few thousand years. 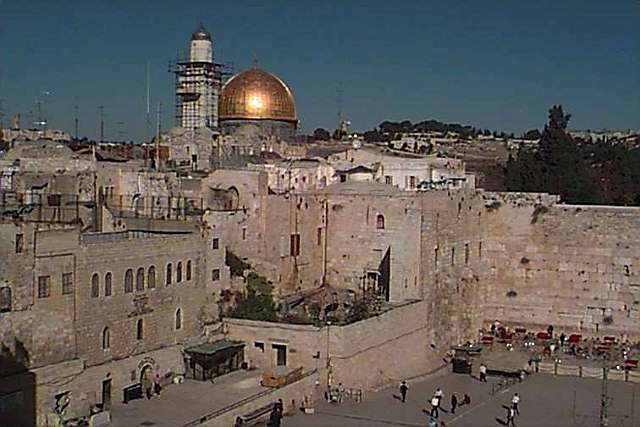 If geography is destiny, it's no wonder that Jerusalem has been the center of history and conflict for so long. To the ancients, its location, relative fertility and mountain security made it the land of their dreams. And what one has, others want. 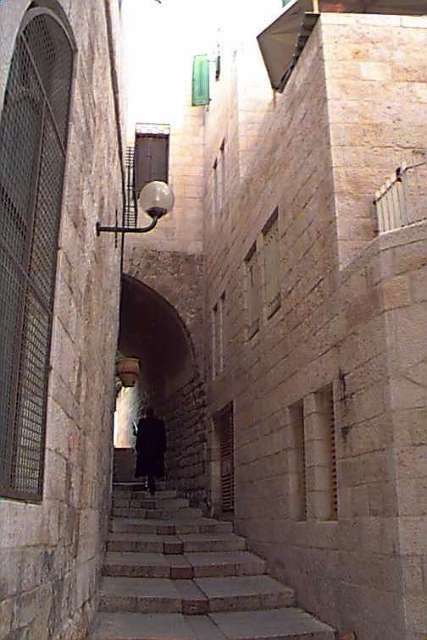 No longer a divided city, Jerusalem still maintains its distinct neighborhoods: Christian, Moslem, Armenian and Jewish Quarters. 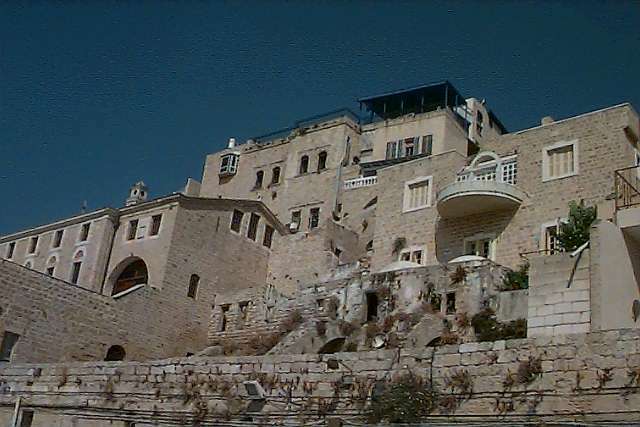 The last is the most modern, having been destroyed by Arabs after Israel won independence in 1948 and built fresh after Jerusalem's capture in 1967. 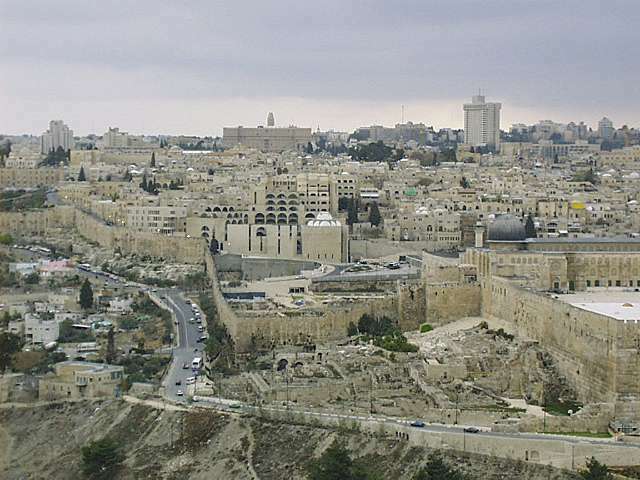 Jerusalem has expanded dramatically in recent years, its new suburbs coming into view many miles before you reach the old city from the west. 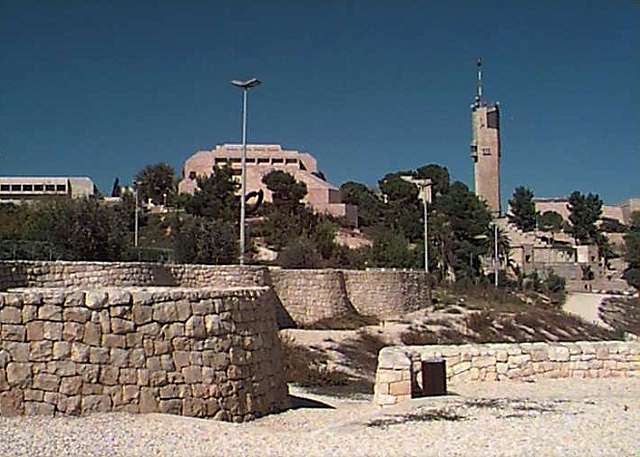 Fortunately, most of the new architecture maintains a connection to the past through the use of native stone, like these buildings at the Hebrew University to the east of the city. You can almost forget that this land was reclaimed from the desert. 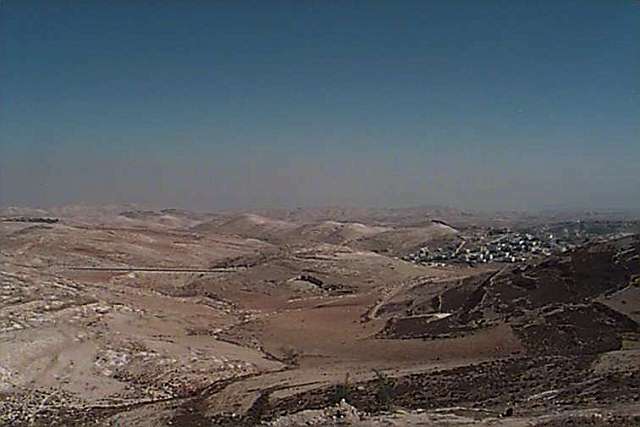 And then you look to the east of the city where Israel ends and the vast wasteland begins. A lot of people expressed concern about visiting such a focus of violent activity. But once I got past the sight of police armed with Uzis, I felt safer and more relaxed than in many a Western city. My more religious colleagues were affected deeply by their visit to the holy sites. For me it was more a connection to the past and perhaps to family I didn't know I had than it was a religious experience. The Western Wall is interesting and all, but I don't believe that God listens any closer in one spot than in another, fax and Internet-based prayer services notwithstanding.